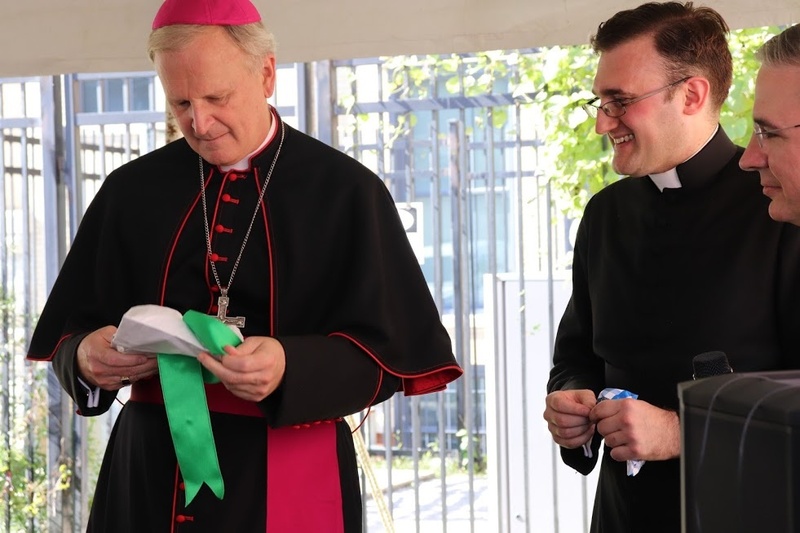 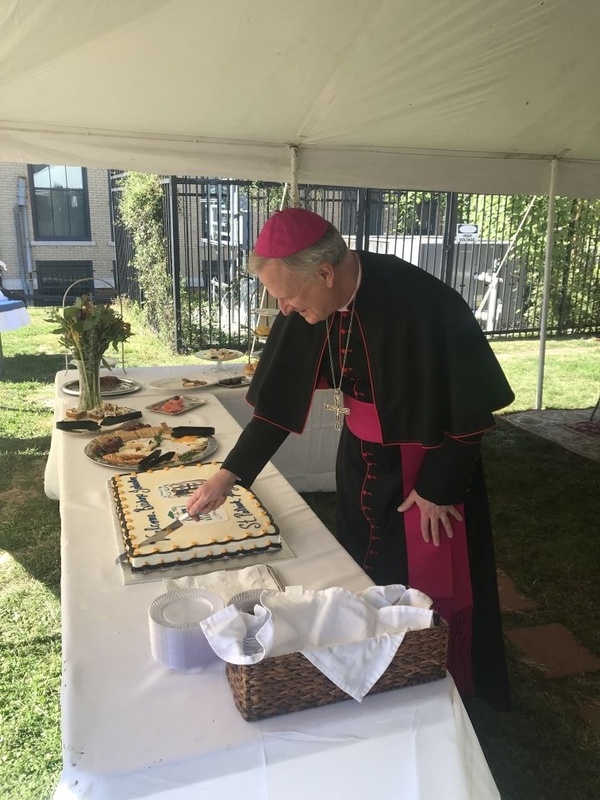 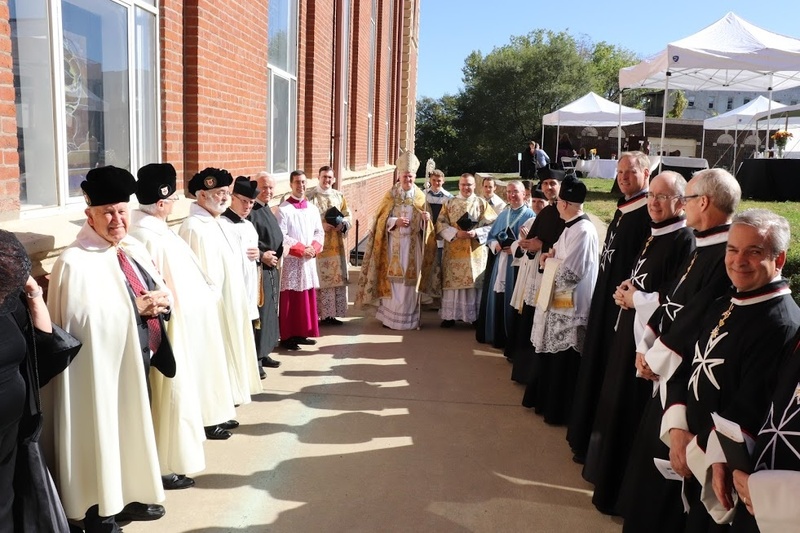 Last Saturday, the 27th October marked a milestone for Old Saint Patrick Oratory in Kansas City, Missouri. 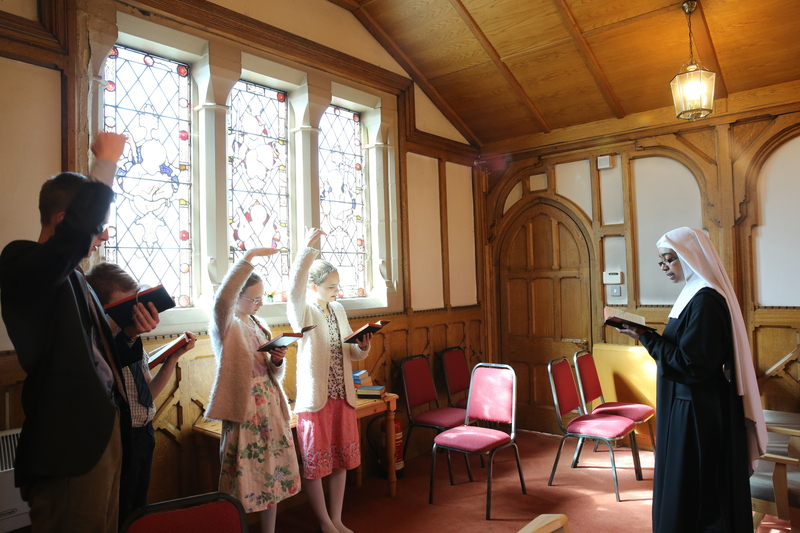 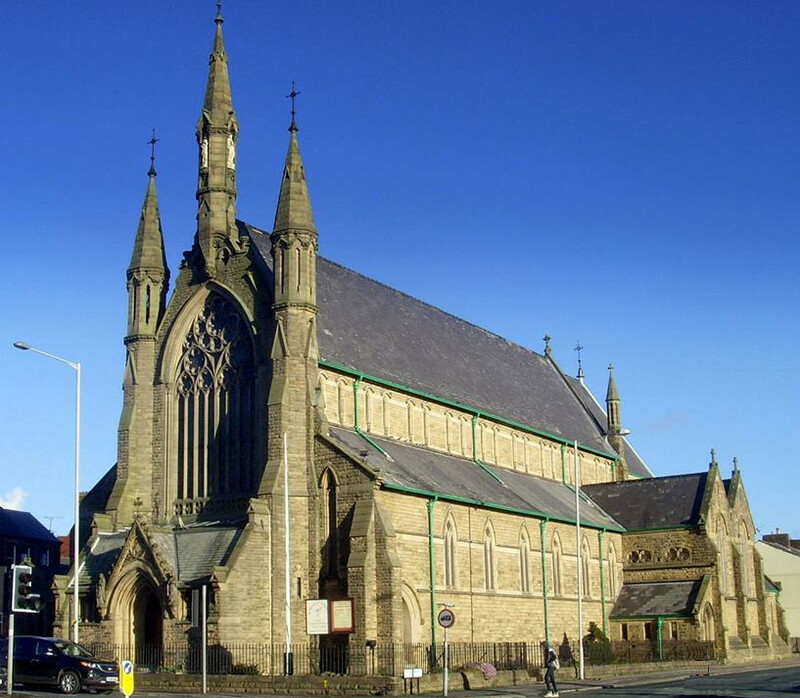 Ten years have passed since the renovation of the church was completed and the church was consecrated. 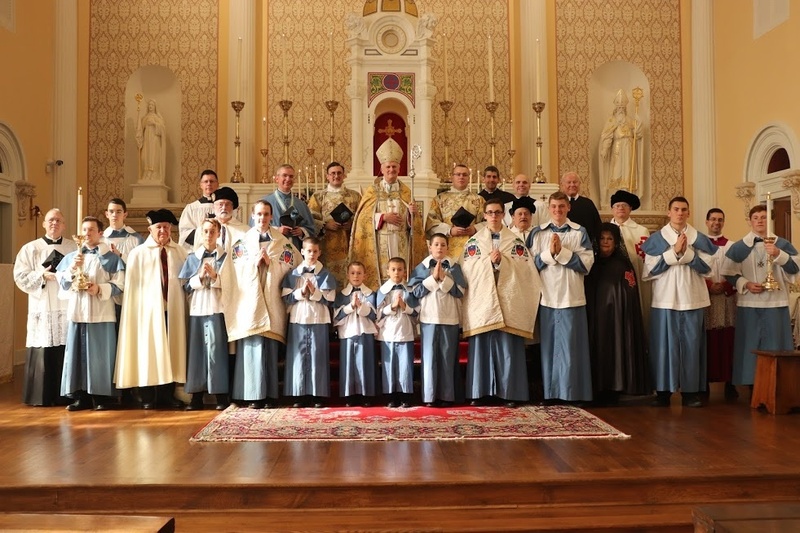 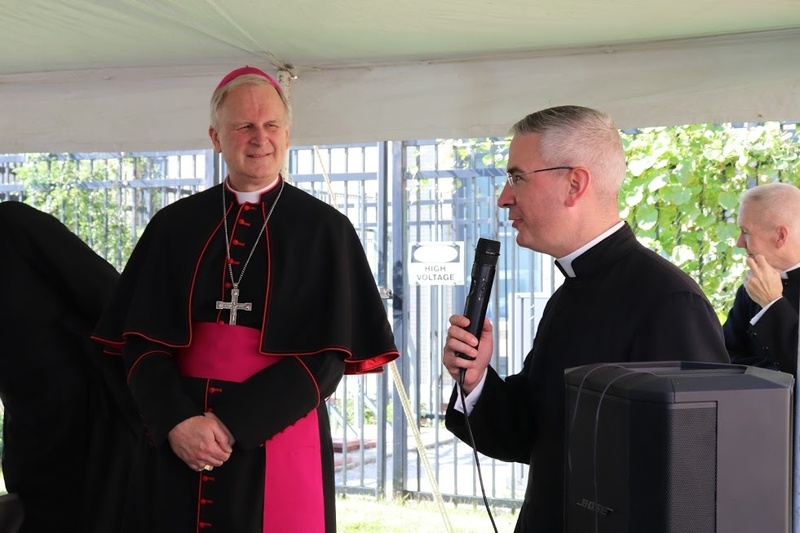 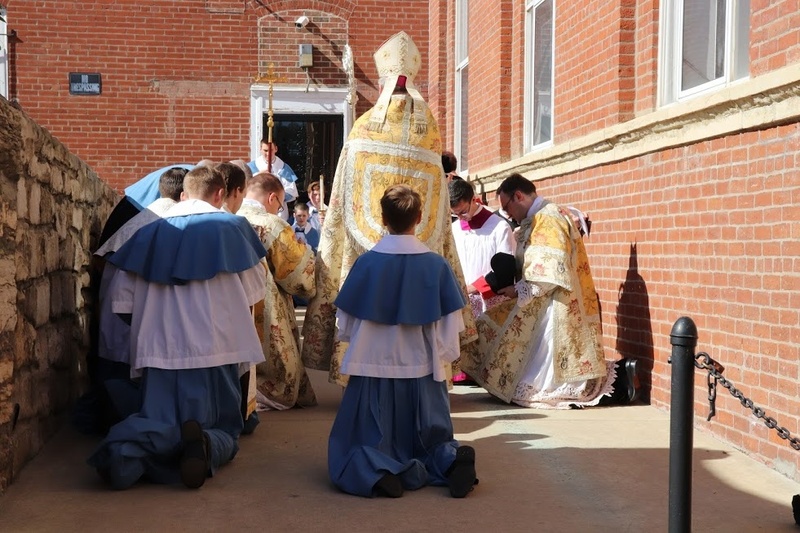 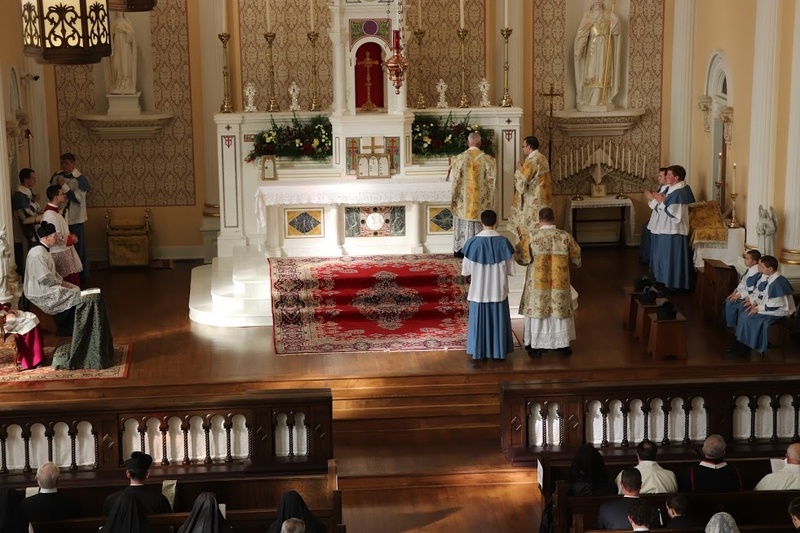 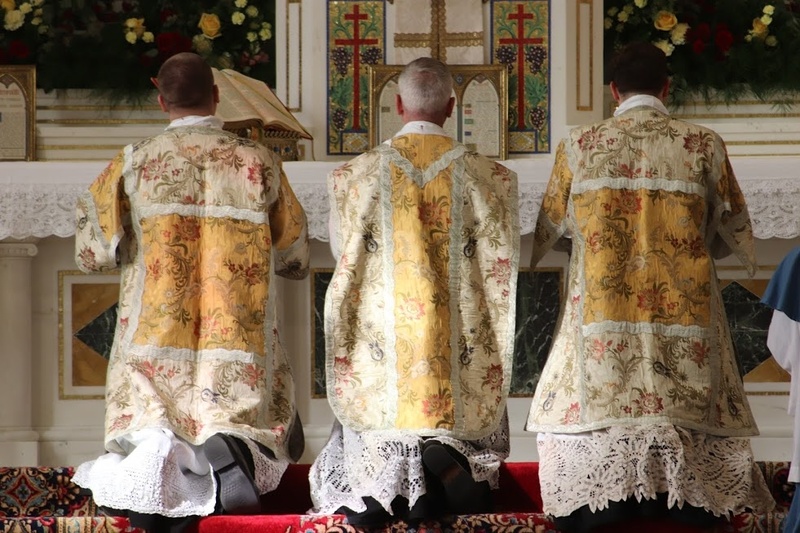 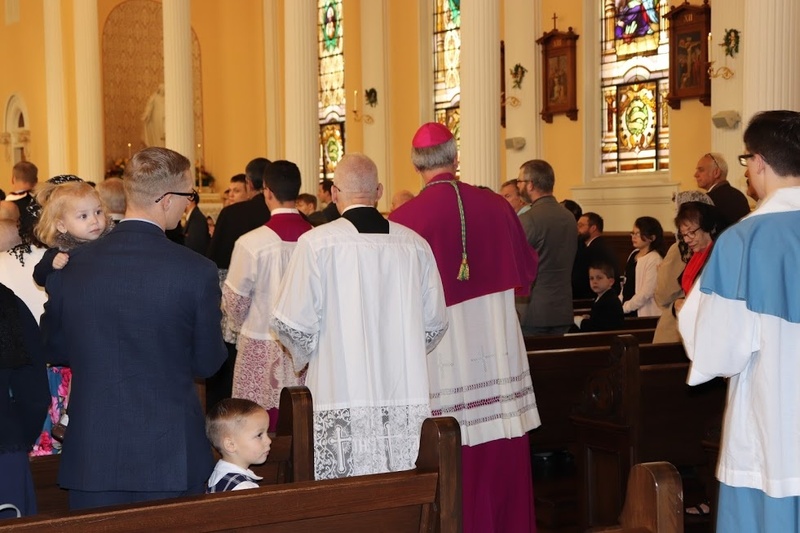 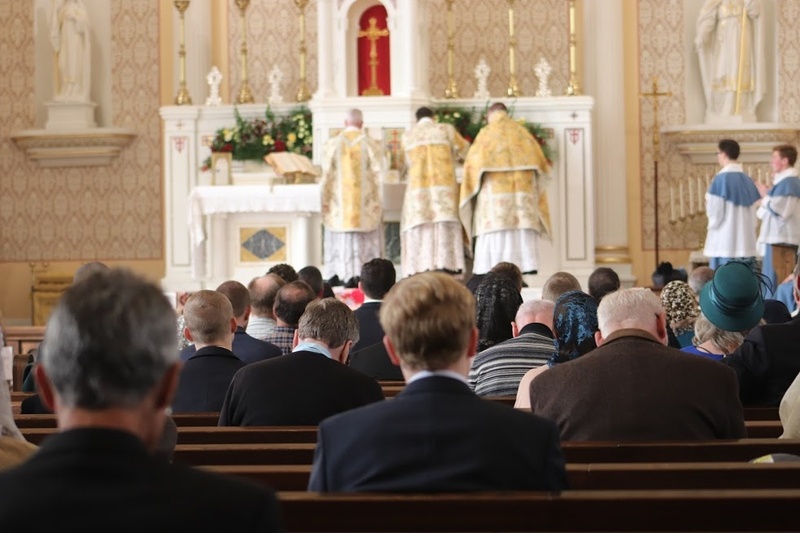 The Most Reverend James Vann Johnston, Bishop of Kansas City-St. Joseph, joined us for a Solemn Mass of Thanksgiving celebrated by the Institute’s US provincial superior, Canon Matthew Talarico. 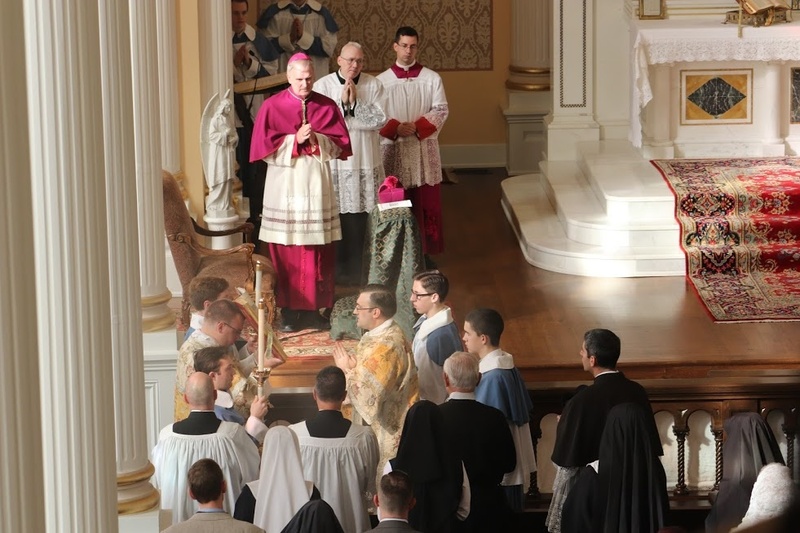 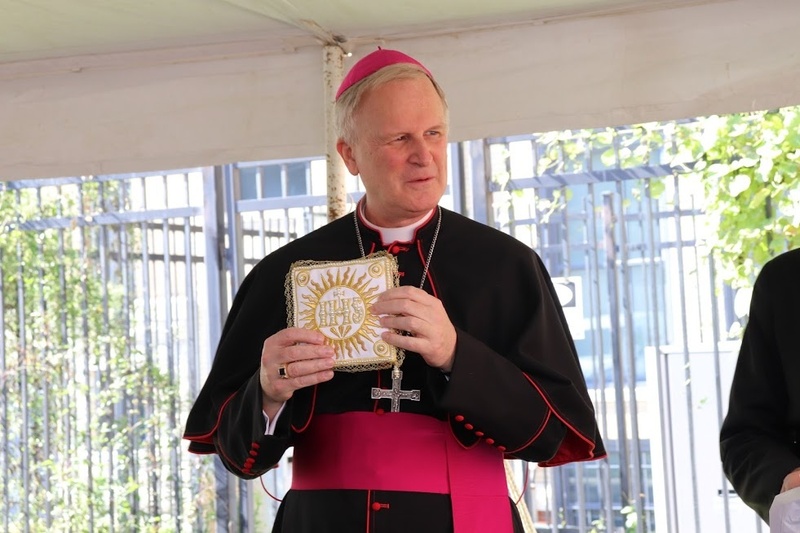 Bishop Johnston preached at the Mass and then presided at the Te Deum and Benediction. 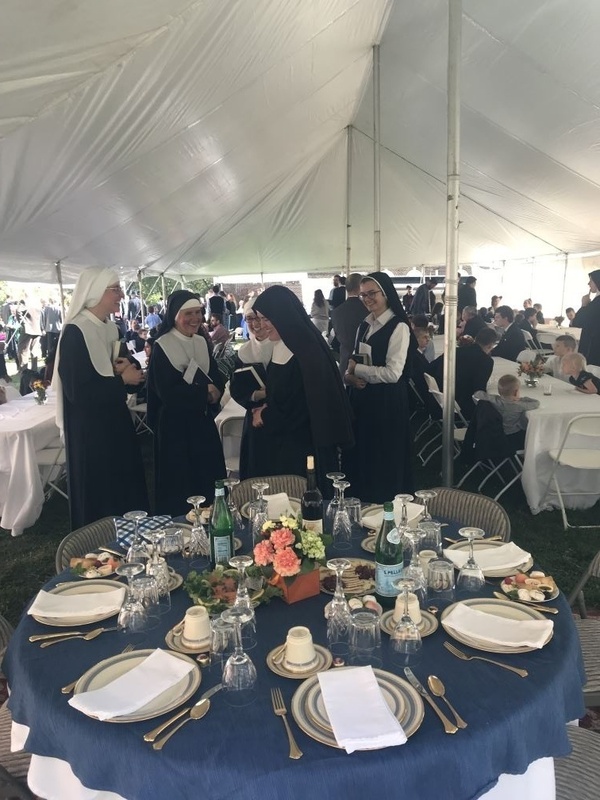 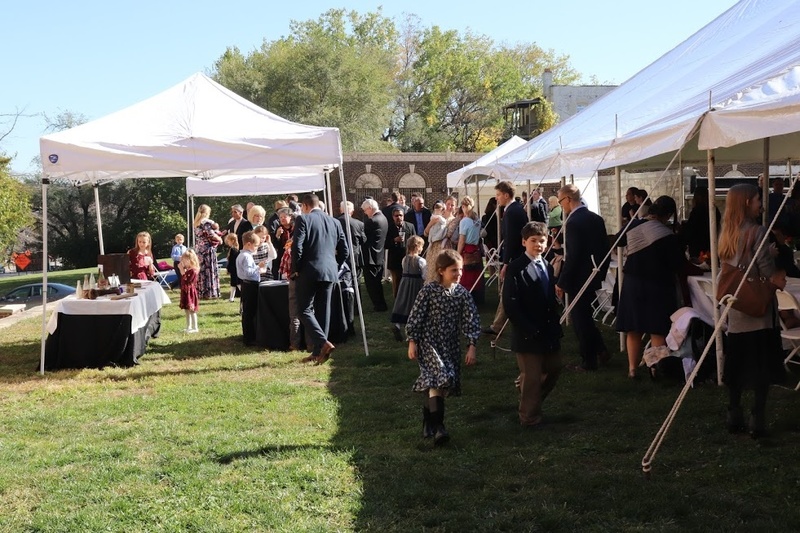 After Mass, our guests joined us for a festive reception under a marquee in the church garden in the bishop’s honour. 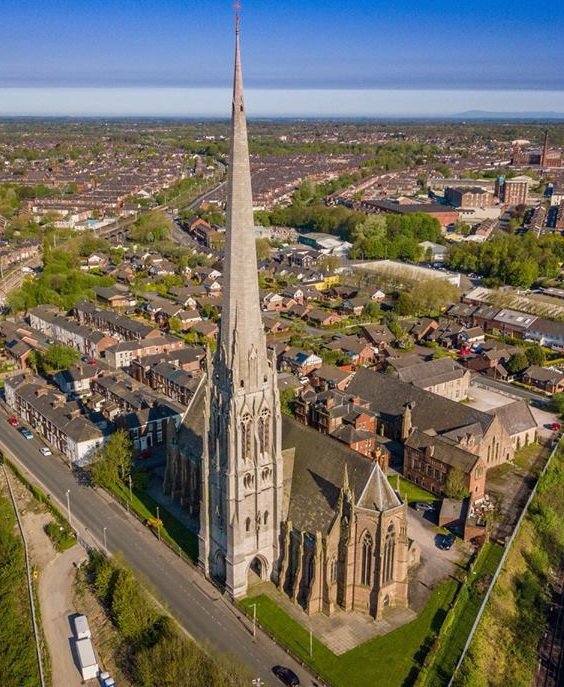 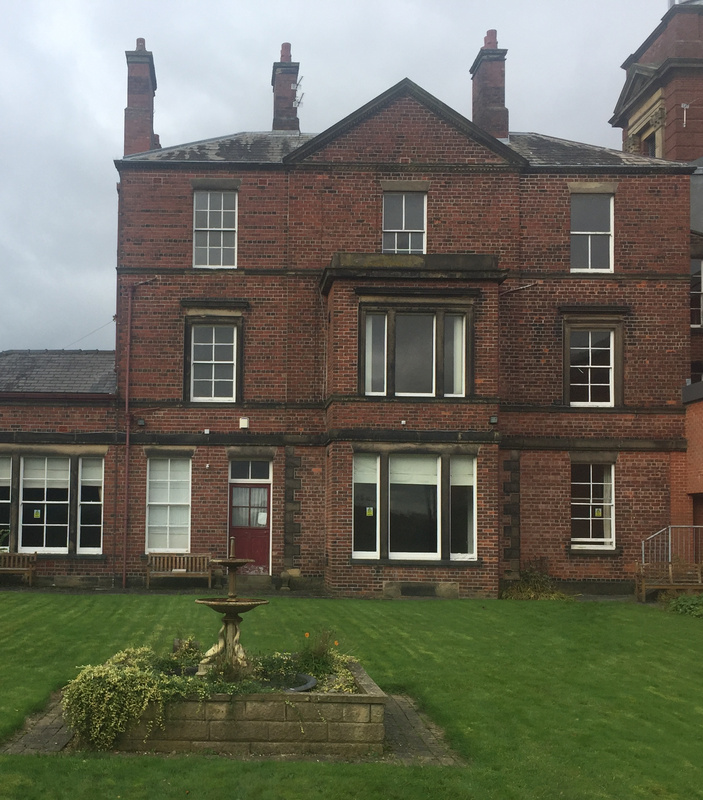 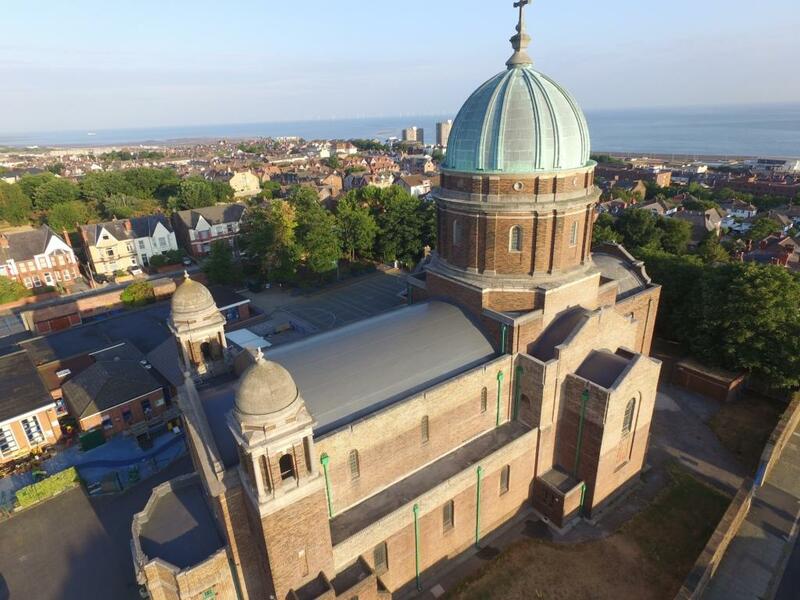 Old Saint Patrick Oratory is the church at which Canon Francis Altiere, former Priest at St Walburge’s, Preston and deacon at Ss Peter & Paul and St Philomena is currently assigned. 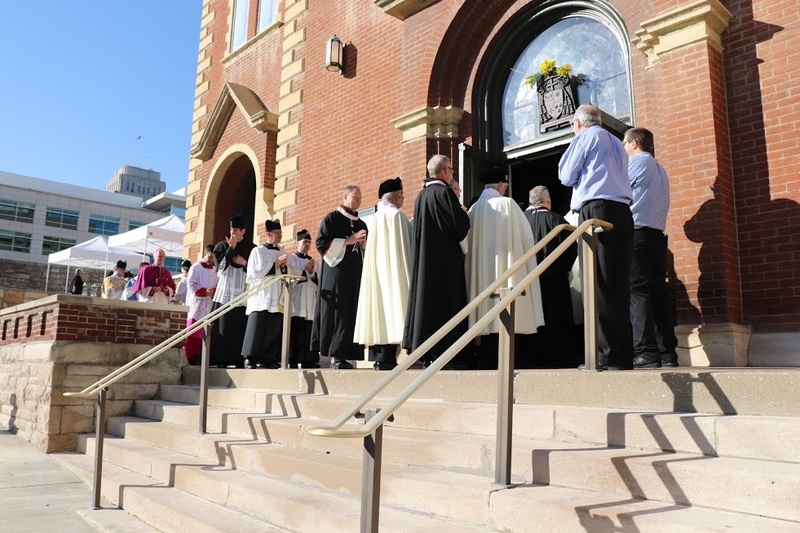 Designed by architect Asa Beebe Cross and built in 1875, Old Saint Patrick’s is the oldest Catholic church in Kansas City. 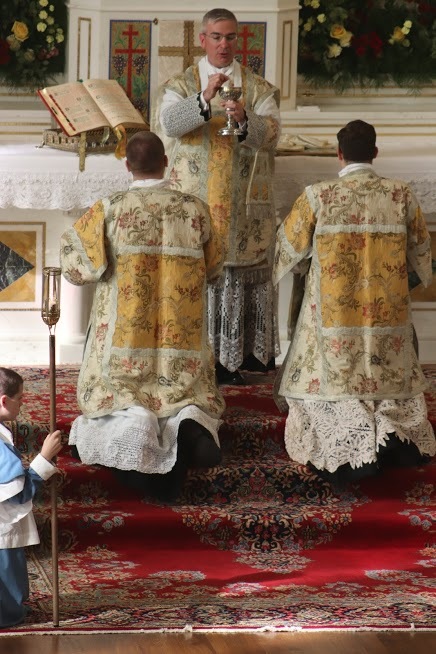 The first Mass was celebrated at Christmas of that year, though work continued until 1881. 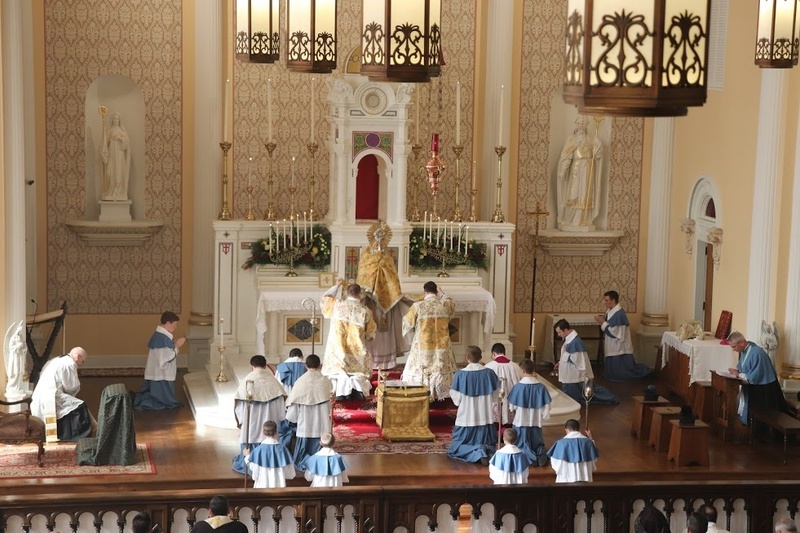 Following stylistic alterations in the late 1960s, an extensive renovation in harmony with the classical revival style of the church was completed in 2008 under the direction of Mr. William Heyer, who the Institute has now also asked to design its National Shrine of Christ the King. 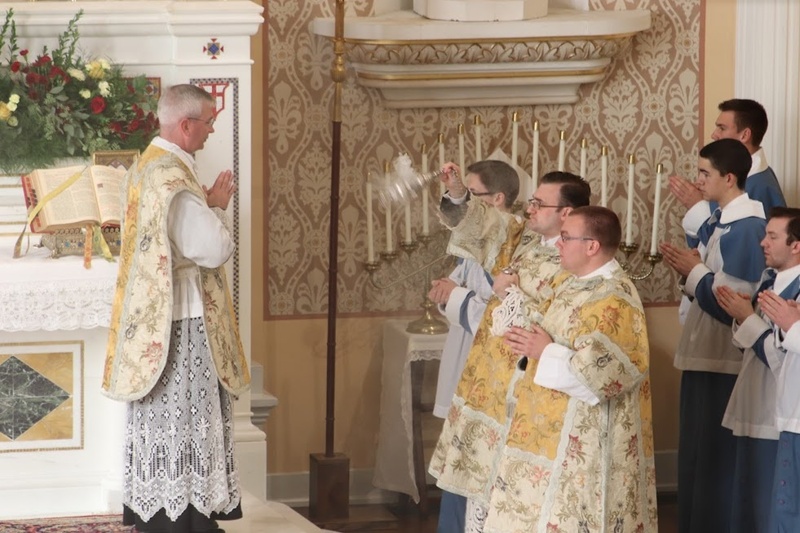 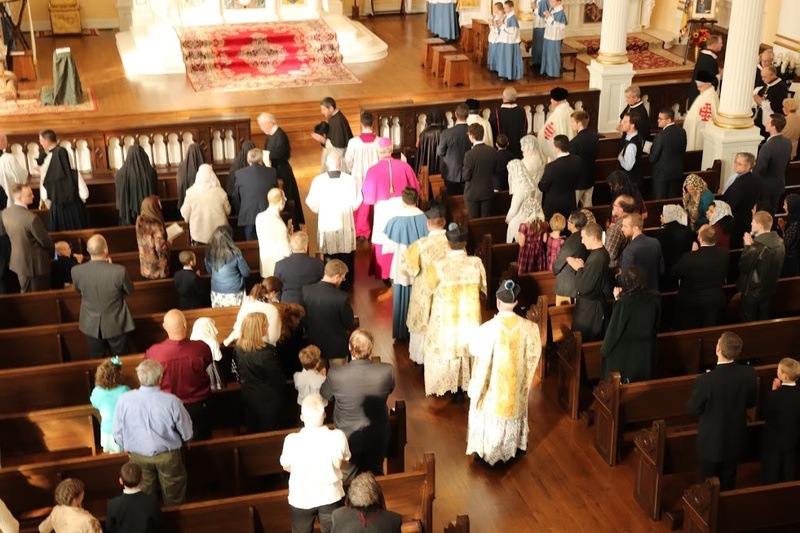 Incorporating three beautiful altars from a closed church in Boston, much of the restoration work was lovingly accomplished with the “sweat and blood” of local volunteers from the congregation. 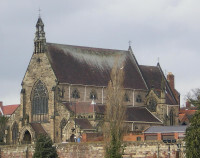 Bishop Finn solemnly consecrated the church on 25th October 2008.